You can never have too many pouches with which to store away all your trinkets, treasures, and items! 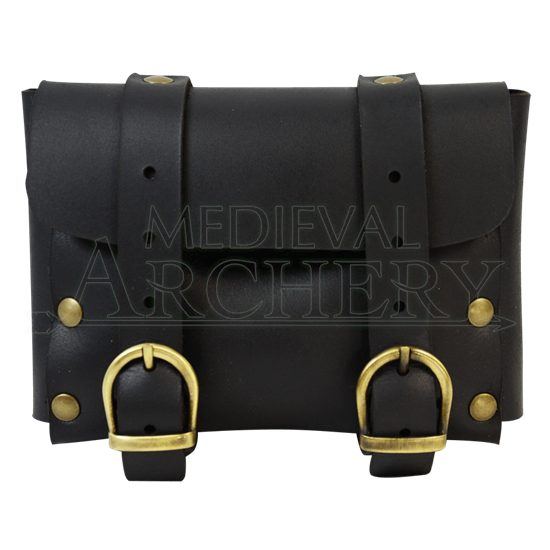 This Wide Adventurers Medieval Belt Pouch is a perfect belt-bound companion to have when you need some extra space to carry all your necessities! This handsome pouch is all-American made here in the USA from fine durable leather. Secured with a double buckle and strap closure, this pouch is quite secure and that makes it perfect for storing away almost anything you can think of, from spell components to travelers tools to modern amenities like cell phones and wallets! It also features a two loops on the back that will easily accommodate a traditional 2.25 inch wide belt. 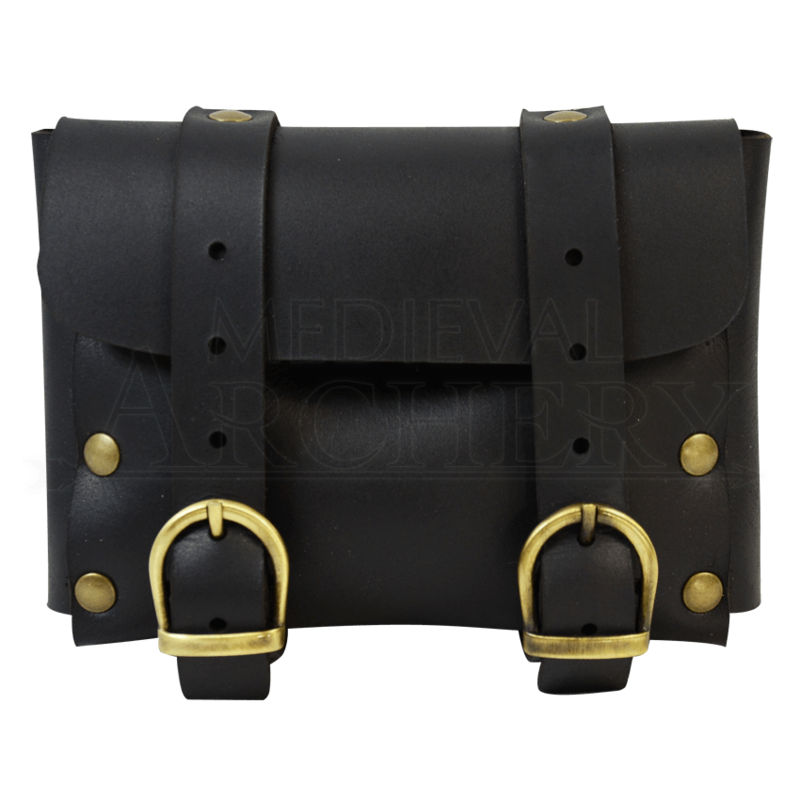 Ease and convenience of use are two reasons why this Wide Adventurers Medieval Belt Pouch should be on any belt you wear when you head to the fair. It's a cool pouch. There are open spots so if you use it to hold items they could fall out if they're small enough, but for ID wallet or something it'll be great.